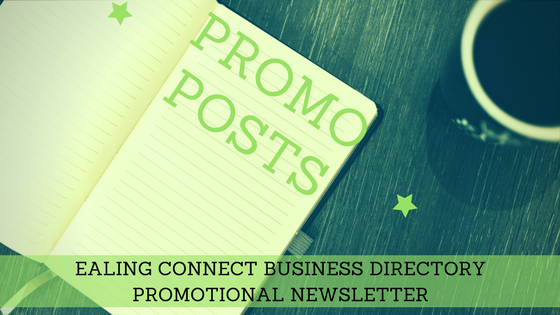 Welcome to this months Business Directory Promotional post. Do you dislike selling or perhaps even hate it? Maybe you are worried about coming across as pushy and manipulative or even aggressive. Or do you just stick your head in the sand and hope that somehow the right people will find their way to you and buy your services? Some people naturally sell well but for many of us selling can often be an uncomfortable process to engage with. BUT as an entrepreneur, you know that to make your business THRIVE do the work you love and have the lifestyle that you desire of you HAVE TO SELL. A Step-by- step process to get your DREAM CLIENTS to say ‘Yes’ easily and effortlessly. To know how to land a string of clients so that you have a consistent income and can ban those feast and famine scenarios. To know the right way to follow up so that you turn 87% of those sales conversations into paying clients. If you want answers to any of the above and you’re keen to crack the code to successful selling then you are in the right place because our Sales Mastery: Sealing the Deal programme is for you. We start on Monday 5th June – we have a super early bird price at the moment that won’t be repeated. Grab your place now and I will see you on the inside. How can JLB Support Solutions help my business grow? Are you still working at 10pm and weekends but still not seeing an increase in your profits? Do you want to spend more time on the tasks only you can deliver? Do you want to spend more time with clients who value your expertise? Did you know 72% of business owners said that when they stopped spending their time on tasks other people could deliver for them they were able to deliver great value to their clients and their income quadrupled? I work with tired, stressed out sole traders and small business owners to bring calm and order to their working week. Gone are the late nights and lost weekends, giving them more time to spend with family and friends. I offer an introductory offer to all new clients to who want to trial my service – buy 5 hours and get 1 free! Be in the next promotional blog post! Want to feature in this post? Join the Ealing Business Directory and feature in this post once a month plus list your business in our growing online business directory for only £50 per year. Anita Wong, Social Media coach & Web Designer from Bommiemedia joins forces with Carole Bozkurt from The BluePrint Practice to bring you a full day of Instagram and Canva you will learn all there is to know about creating great graphics and how to implement the strategy that counts. Join us at the Ealing Business Expo & Networking Festival on 9 & 10 June - the “biggest business event in the borough in 2017”, at the Ealing Town Hall, for two days of networking, inspiring talks, panels, and workshops, all designed to show off the best of what the business community in Ealing has to offer. If you would like your business to be part of the “show” as an exhibitor or sponsor, please contact me - stands cost £225 for one day or £370 for both Friday and Saturday; otherwise do mark the dates in your diary and come along and participate as a visitor. SCA takes the pain out of IT problems so you can get on with running your business and delivering the best possible services to your clients and customers. We deliver the best technology available to meet the needs of entrepreneurs, SMEs and big companies, with expertise in cloud computing, business continuity, email, backup, network security and IT support all part of the service. So if you’re an entrepreneur struggling to manage and sync your emails seamlessly across devices. Or you’re a small business owner finding your efforts slowed down or thwarted entirely by the whims of old PCs that are no longer fit for purpose. Or you’re part of a big company that needs to advance the way it uses technology and the cloud to enable collaboration and share information more easily – then SCA can help. We work closely with companies from across the creative, financial, legal, professional and service sector industries and have been delivering the highest calibre of expertise to our customers in London and the South East since 1989. We provide simple, actionable solutions whatever the scenario and help individuals and companies plan more effectively to avoid the frustrations and anguish of having IT systems falter and tech solutions fail at crucial moments. So get in touch with SCA today if you want to stop getting annoyed by your IT and you’re ready to start getting excited about the potential it could have for your business. Thinking of moving this year but unsure how much your property is worth? Use our FREE online valuation tool to help you decide on your next move!